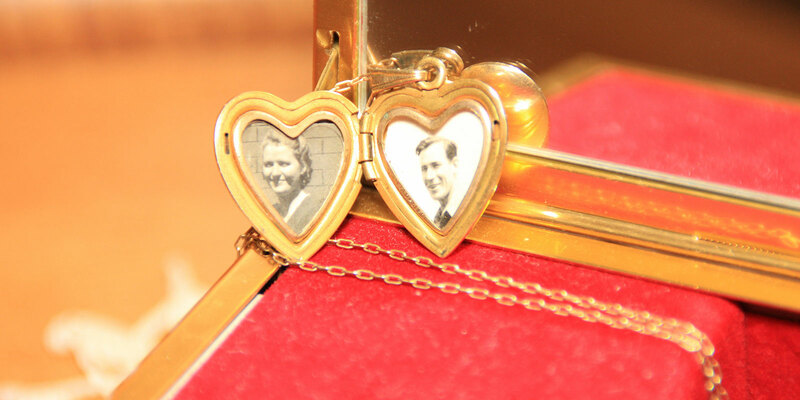 This is the first in a three-part series exploring how to preserve family heirlooms. Read parts two and three. Many of us are aware that environmental changes cause catastrophic damage to our precious belongings. Tornadoes, floods, earthquakes, and fires are incredible forces of nature that can wreak havoc on homes and property. But life-altering natural disasters aren’t the only threat to precious family belongings. In fact, there are subtle ways that the environment can destroy our heirlooms, and they may even be happening in your home now. Consider, for example, how hot your garage gets during the summer and how cold it is during the winter. Graff said that artifacts should be stored in rooms where the temperature stays between 65 and 70 degrees Fahrenheit. This doesn’t apply strictly to old photographs and documents. Furniture pieces are just as liable to damage as sheets of paper. An old table sitting next to a heater can buckle because the adhesive on wood veneer can melt. Though we wouldn’t store items intentionally in places that would damage family valuables, many of us have heirlooms tucked away in places like the attic, garage, basement, barns, or even sheds, or near outside walls. These are places that are easily influenced by fluctuating weather and temperature. Solution? Store your valuables in places where there aren’t extreme temperature fluctuations. Ideally, keeping the humidity in your home to between 45% and 65% will help preserve your valuables; however, humidity can be difficult to manipulate. Garff suggests storing heirlooms in places that won’t see major humidity changes. Another thing to consider is keeping the air in your home from becoming stagnant. For example, if you live in cold weather climates and don’t have air circulating in the rooms where your valuables are held, such as the basement, your valuables can be prone to mold growth. This happens as the warm, moist air in the upper levels of your home descends. This air condenses on cold surfaces, and as it reaches dew-point temperatures, this leads to moisture, which can eventually lead to mold. Solution? Keep objects in an environment they are used to being in and avoid extreme humidity or dryness. Ultraviolet light breaks down the chemicals in the pigmentation of photographs, papers, plastics, and other valuables you have. This leads to photo degradation, the reason why the colors of our heirlooms fade. Solution? Store your valuables in a place where they won’t be exposed to unnecessary light. When it comes to dust, it’s easier to prevent than it is to remove, and it does far more than make things look dirty. Dust can hold moisture (which leads to mold), is acidic (causing materials to weaken), and is a place where bugs like to live. 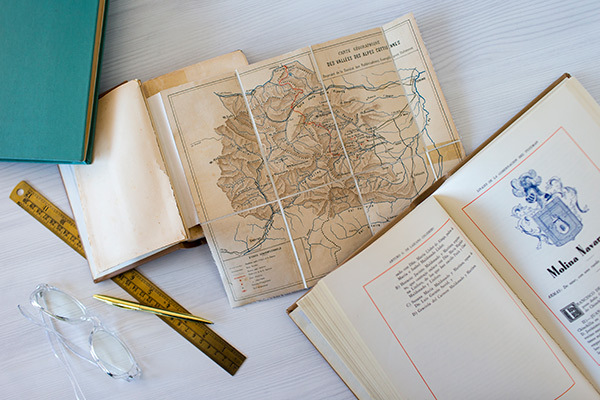 There are sprays you can use to protect your books and other paper objects, but contacting a conservator will keep you from using products that may harm the objects or those who might handle those objects years down the road. Solution? Keep objects covered or in a container to prevent dust from collecting directly on your heirloom. How do you keep your heirlooms protected? Tweet us @RootsTechConf to share your tips, and join us next week for part two of this series exploring how to preserve family heirlooms. 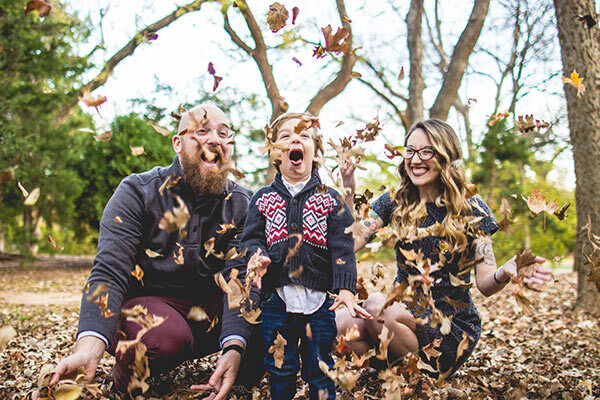 October is family history month. Celebrate with the whole family doing these 5 activities. Learn how distributing documents helps them survive.